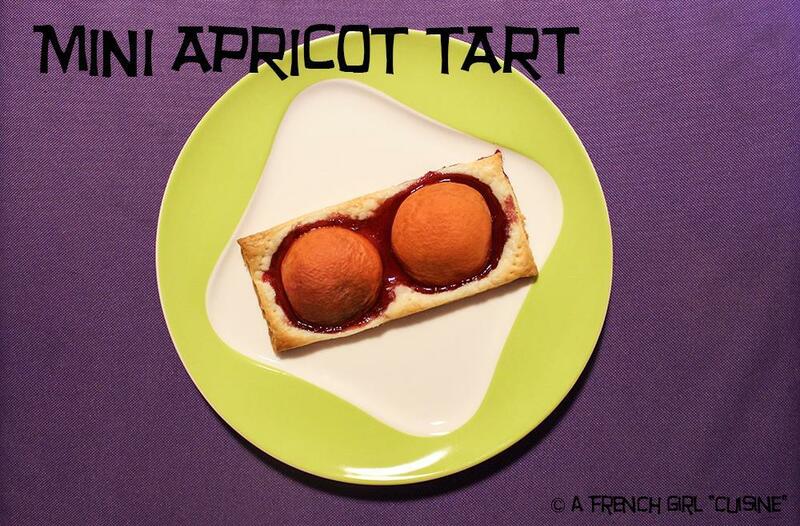 Little Apricots Tarts - a French girl "cuisine"
I hate to spend too much time in my kitchen during the week; but I want to eat good food. That’s why I am publishing a lot of easy recipes. Eating is a way to enjoy life and you can make it simple! Slice 8 rectangles of 7×15 centimeters. Riddle with holes. Then seed the apricots and cut in two egal parts. Add 1 teaspoon of cherry jam under each apricot and place on your paste.